Looking to begin experimenting with mech mods or want to try something new with your favorite herb cartridges, oil cartridges or wax cartridges? The eGo Twist Battery is the ideal solution for customizing your vapes. 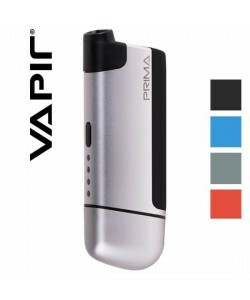 Offered with your choice of 900 mAh, 1100 mAh or 1300 mAh amperage ratings, the battery is a variable voltage design with options ranging from 3.2 volts to 4.8 volts. The t10 threading makes it compatible with a wide variety of cartridges, cartomizers and heating chambers, and it's sold in Black, Blue, Gun Meta, Red and Silver to match many different vaporizer parts. I can't say much more than the above. The products they sent are of excellent quality, and when I had to contact customer service, they were very responsive and very helpful. I'll be back.